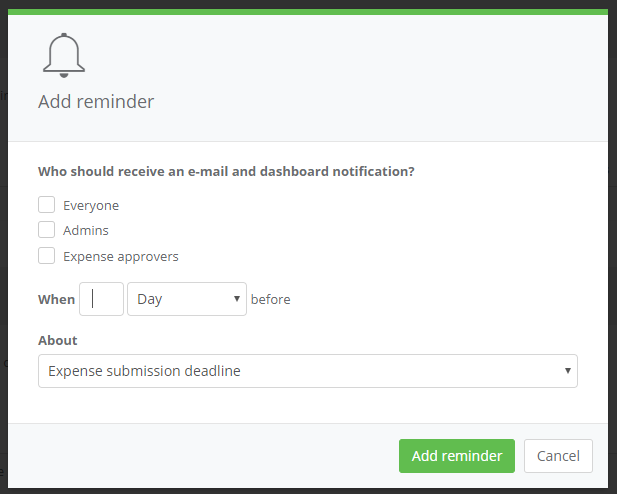 You are able to set reminders for expenses so that Admins, Managers and Expense approvers can be reminded to pay expenses or submit expenses. Next, go to the Reminders tab. Scroll to the section for Expenses. Here you can see a list of reminders that have already been set. Clicking Add reminder will prompt a new dialog box to appear. 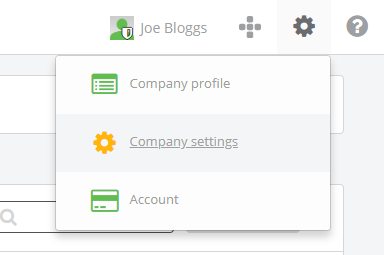 You can set up as many reminders as you need for your staff.